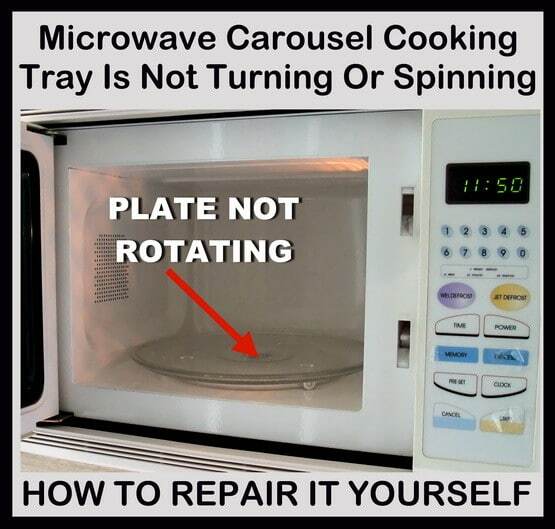 Your microwave plate is not turning or rotating? Microwave turntable won’t turn? Need microwave oven replacement parts? There are 4 parts in your microwave oven that could be broken that is preventing your microwave from turning the carousel. The first 3 parts are an easy fix to replace. The 4th part is not as easy. We will tell you in order of most likely what parts may have gone bad. We will also supply you with information on where to order new parts for your microwave oven to get it rotating again. Check the plastic drive bushing that the table that turns lays on. It will either be worn out, missing, or broken into 2 pieces. Replace or adjust as needed. 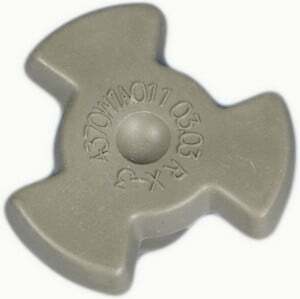 – Where to buy a new microwave oven drive bushing coupler for the turntable. Look at the microwave turntable guide. If it is not lined up it will not allow the tray to turn. Food may have fallen down and blocked it, remove and food particles. Be sure it is aligned as designed. Replace or adjust as needed. – Where to buy a new microwave oven guide for the turntable. The carousel cooking tray may not be in its correct place. Be sure it is on the mechanism that allows it to turn. It could be cracked. Replace or adjust as needed. – Where to buy a new microwave oven carousel cooking tray for the turntable. The microwave cooking tray spins using a small motor. If all of the parts above are in place and positioned correctly, then the motor has most likely gone bad and needs replaced. Replace or adjust as needed. 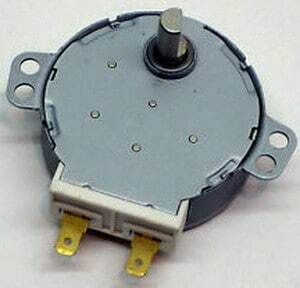 To find out if the microwave carousel tray motor is bad, unplug the microwave, remove the bottom of the microwave and find the turntable motor. Remove the wires from the motor and use an ohmmeter to check for continuity across the motor. If it is “open” replace the motor. Watch the video below to show you how to access the microwave turntable motor. 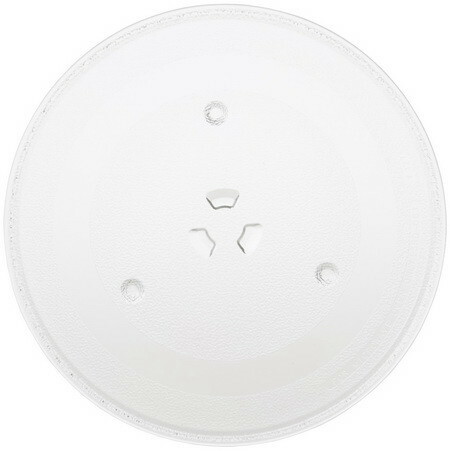 – Where to buy a new microwave oven carousel tray motor for the turntable. Most all microwave ovens turntables or carousel works exactly the same. 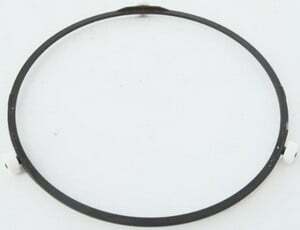 The 4 parts mentioned above are used on all turntable microwave ovens. The repair methods we mention will work on all microwave ovens including, Whirlpool, Emerson, Kenmore, GE, Frigidaire, Maytag, Roper, and more. Know any other reasons a microwave ovens turntable will not turn? Please leave a comment below to let all the readers of this page know. Would it hurt to remove the carousel entirely? If the carousel is not really necessary for the microwave to work, would it be okay to disconnect the carousel motor’s plug? I ask because we have another, built in microwave, that has no carousel and our countertop unit in another room has started to make a rumbling noise, apparently connected to the carousel turning. Otherwise, all controls work and it heats/cooks fine.